I see RED…more Red and more Red! Guess what? I love Red! Noon by Noor AW13 presented a beautiful eveningwear collection and a star studded front row! Olivia Palermo, Selita Ebanks, BryanBoy, Nigel Baker and Cory Kennedy were all in attendance. I wasn ‘t sure where to look. 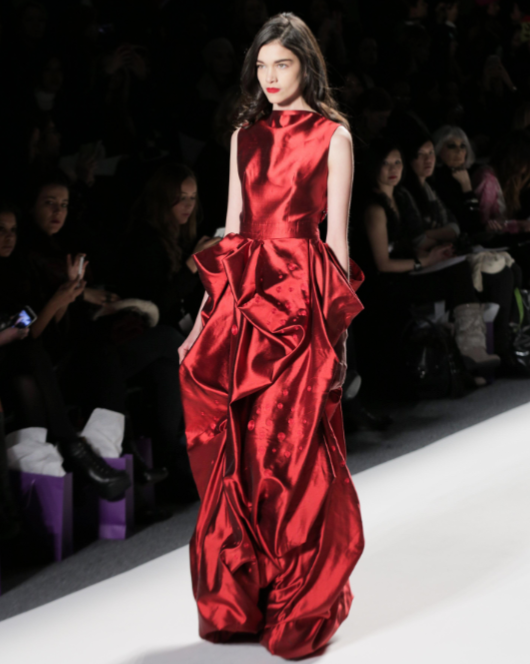 That all changed when the red satin ruched evening gown sashayed down the red carpet and seized my attention. J ‘adore! Looking forward to seeing what these newcomers come up with next.